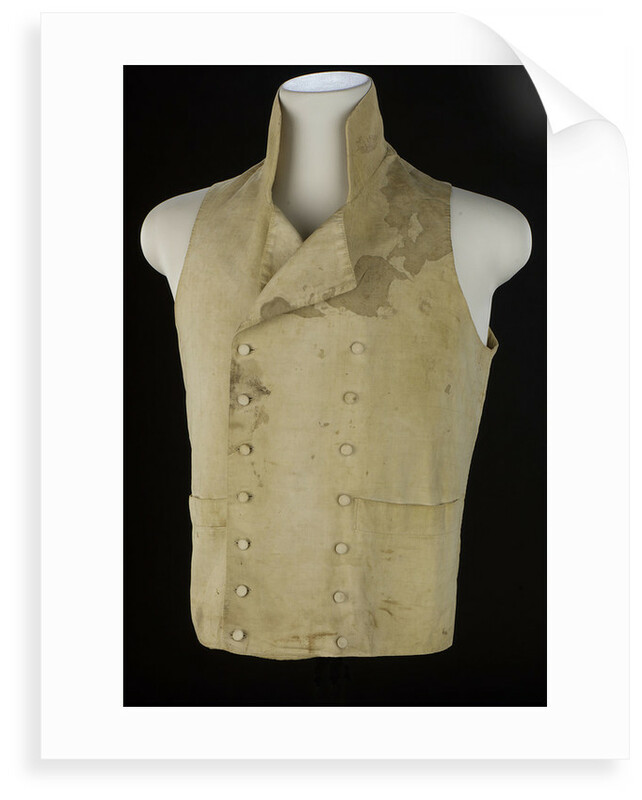 Waistcoat worn by Horatio Nelson (1758-1805) at Trafalgar. 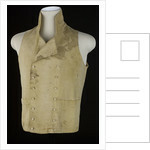 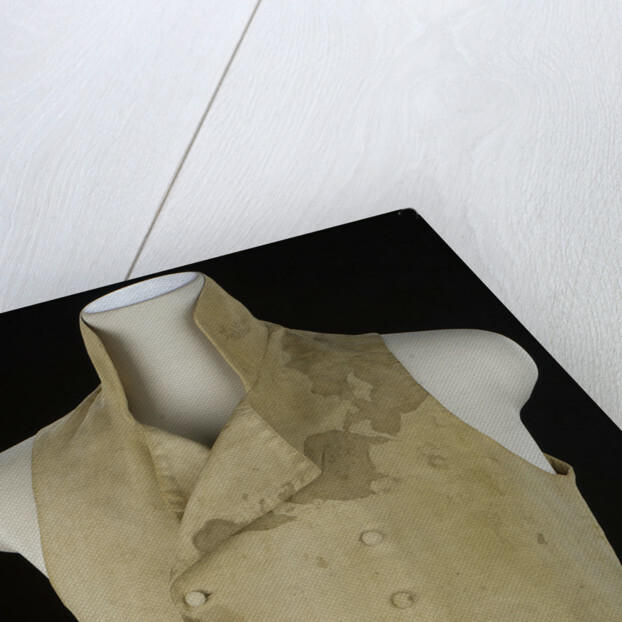 The waistcoat is a non-regulation garment of white cotton marcella, woven in a diaper pattern. 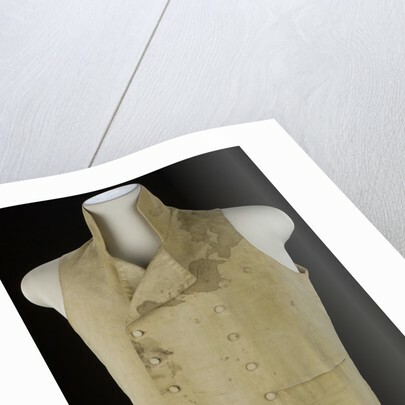 It is double-breasted with seven self covered buttons on either side.